Cedar trees grow where the weather is damp. Due to the destructive nature of fungus, microorganisms and insects in these conditions, cedar trees have developed self-protective qualities which allows the cedar trees to fend off insects, rots and temperature related stresses. 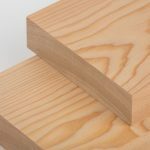 It’s because of this inherent ability that cedar wood is extremely valued in areas where humidity, temperature and cracking problems can occur. Unlike other types of wood, cedar will not warp due to moisture due to its remarkable dimensional stability. Meaning, that despite weather, humidity or temperature conditions, cedar wood doesn’t change its size or dimension, making it perfect for house siding. And being a light, porous type of wood, cedar can also absorb noise, which can be beneficial when used as fencing or siding. The oil within the wood emits an earthy, woodsy and slightly sweet scent which not only enhances the atmosphere in and around your home, but also helps to keep moths and other insects at bay making it a popular choice for around hot tubs and saunas. Building with cedar wood is also environmentally friendly as it’s actually more environmentally superior to synthetic products. It has a negative greenhouse gas effect, meaning it actually removes these gasses from the atmosphere, and it’s renewable and biodegradable. 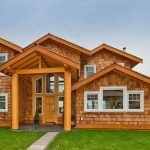 The unique tones and patterns of cedar make it a popular choice for adding a warm, durable, natural beauty to the exterior of homes as siding, eaves, decking, soffits and fascia. Cedar doesn’t have to be stained because of its inherent qualities, but in most cases pre-stained is recommended, making it great for any type of home. The aesthetics of cedar wood, especially the colouring of the Western Red Cedar which is rich with crisp colours and tonal properties can magically transform outdoor spaces, liven up home décor, and inspire innovative architectural designs. Great for adding light and warmth to any area, cedar comes in a smooth or knotty variety. Each variety has its own characteristics giving it its own natural and distinct signature. The many benefits of building with cedar wood goes back centuries with the native peoples of the Pacific Northwest. Today, more and more discerning architects and builders are enhancing their projects with this beautiful and sustainable resource. 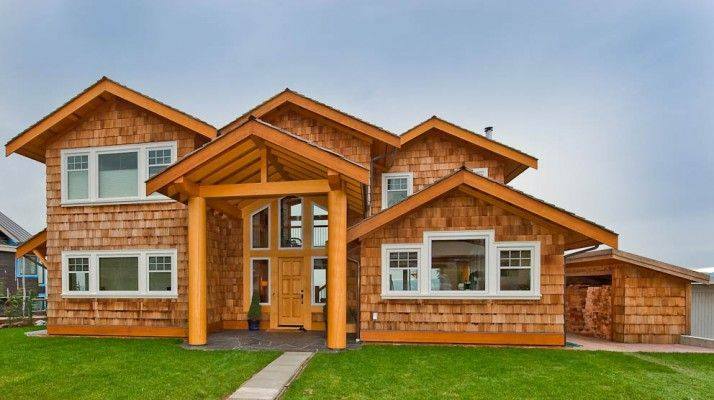 No man-made product can match the beauty, performance and longevity of cedar. It seems nature still knows best despite all efforts at imitation.